There are some 48,000 charging stations in the U.S. (AC Level II and DC fast chargers), out of which almost one third are located in California - more than 15,000. 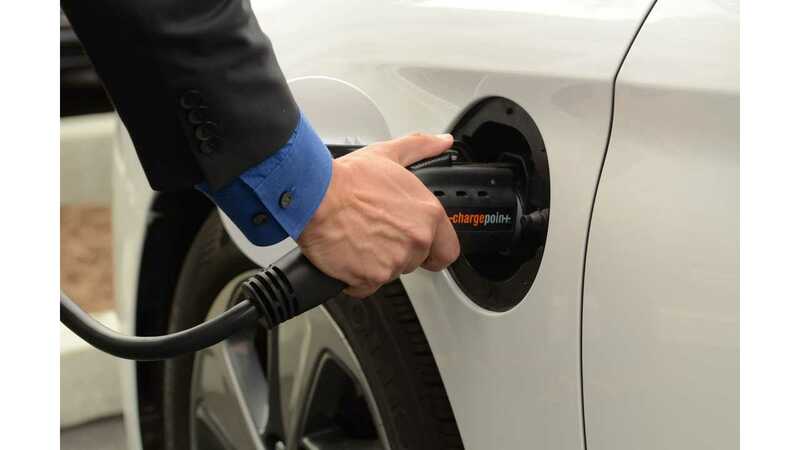 According to the US DOE’s Office of Energy Efficiency & Renewable Energy report, one third of states have more than 1,000 charging stations (with average of 11% for DC). 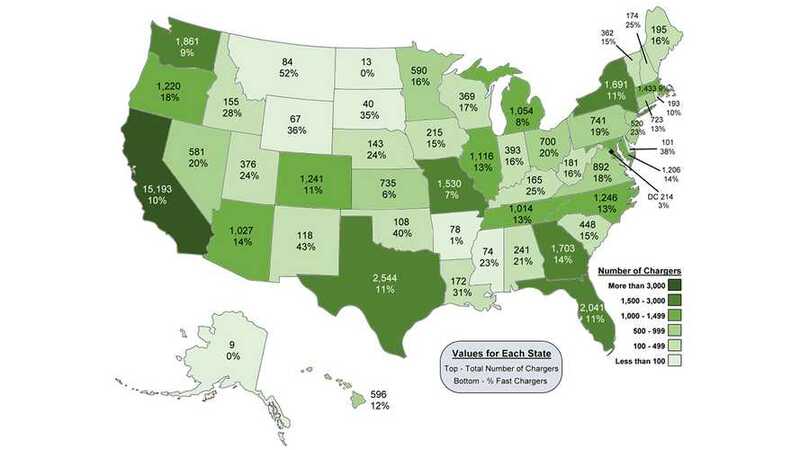 Seven states are below 100 charging stations. California leads the country with around 1,500 DC fast chargers (10% of total). There are also two states where DC chargers are at ≈0%. "Note: Data are as of November 14, 2017. Includes public and private chargers, and the Tesla network. Does not include level I chargers or planned chargers. Source: U.S. Department of Energy, Alternative Fuels Data Center, Alternative Fuel Station Locator, November 14, 2017."